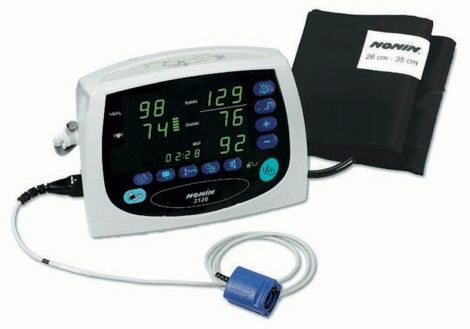 NONIN 2120 Automatic Vital Signs Monitor with SPO2 Only. New accessories, warranty and mobile stands...write for original brochure. After second year of ownership send in to our bio-med department for inspection, PM and calibration at NO Charge!